Many thanks to all participants, speakers and sponsors for this great conference! 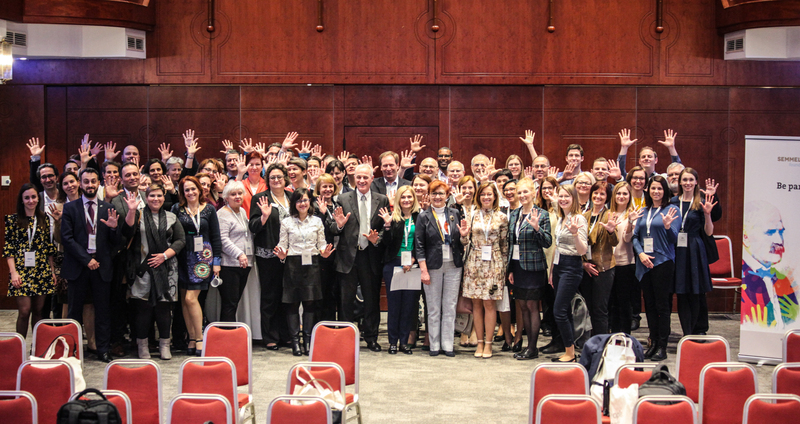 High-level keynote speakers, lectures by specialists and excellent networking opportunities made the last Semmelweis CEE Conference on Hospital Hygiene and Patient Safety a great success. More information and photos will be available in the next few days. One of the most persisting problems in healthcare are departments: Thinking and acting in silos is not contributing to hospital hygiene. How can silos be busted? What role could or should be taken by patients? Well informed and critical patients, as well as social media, could change the way nurses and doctors work – take a look at the changes in the tourism industry: reviews in online portals and on platforms can be existential for restaurants and hotels. We have got the knowledge and technological know-how – why is infection-prevention, -surveillance and -control still an issue!? At our conference in 2017 our topic was “Communication – the key for better infection surveillance and control”. During a lot of informal conversations we heard about great difficulties regarding hierarchies and that senior staff often prevents new working methods. How can we help healthcare workers change the system? Changing the perspective can help a great deal – it is much easier to look at one discipline instead of looking at a system that puts patients first. When putting patients first, two things become clear – interdisciplinary work is necessary and the way budgets are being spent is debatable! The Robert Koch Institute’s approach to infection prevention and control in Germany. Catheter indused bloodstream infections and their prophylaxis from the point of view of the nursing practice. Patient outcome on influenza-wards during two influenza seasons in three hospitals in Vienna after PCR point of care diagnosis in the emergency room. Candida auris – human threat or harmless bug?